Elephant jungle trekking on Thailand’s elephant island. The Ban Kwan Chang elephant camp is in the northern jungle near the Klong Son village on Ko Chang. 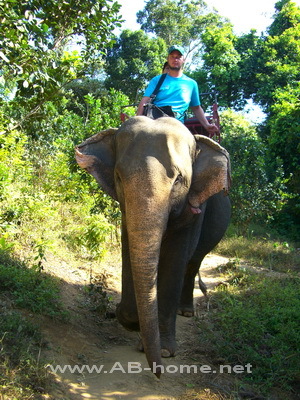 Koh Chang elephant trekking is a popular activity on the island in Thailand. Many tourists book an elephant tour through the evergreen jungle in Asia. The highlight is the elephant riding and swimming with elephants at Ban Kwan Chang Elephant Camp. The elephant trekking near the Nang Yom waterfall is around 2 hours. 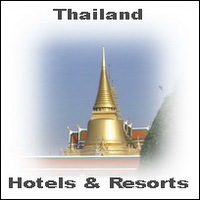 In this time you can enjoy the natural beauty of Koh Chang Island. The big Koh Chang elephant tour at Ban Kwan Chang is two hours and is a nice thing to do and a pleasant day trip for the whole family. The elephant riding including bathing with an elephant, feeding, trekking and pick up from your hotel or resort on Chang Island.